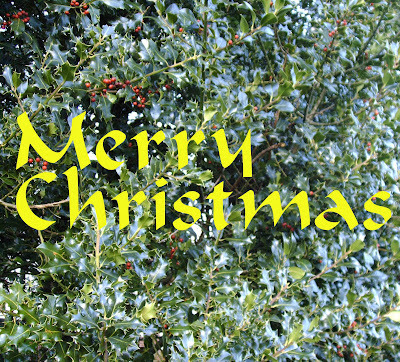 What sort of Christmas message is this? According to statistics just released, the UK is now a more Catholic country than an Anglican one. It's not conversions like Anne Widdecombe's or Tony Blair's which has tipped the balance, but the high proportion of church-goers among the people from Poland who have come here to work. This sense of Christian solidarity does not extend to the authorities, who are quite prepared to force the Williams family of Swansea to return to virtually certain violent recrimination in Pakistan, because of their faith. The episode illustrates the inhuman inconsistency in Britain's immigration policy. The Home department has targets of repatriation to meet. It is understaffed and short on skills, so it is the "low-hanging fruit" which is plucked. People who have set down roots in the community, and therefore have a fixed address, are grabbed in dawn raids. Those illegal immigrants, with no genuine concerns about persecution, who are less traceable, including a criminal element, are not successfully pursued. Does anybody recognise the scene? Nick Clegg, in one of his first interviews after being elected leader of the Liberal Democrats today, made the welcome announcement that he intended to hold a series of "town meetings" to engage with ordinary voters away from the Westminster village. He confirmed to BBC Wales that he had already spoken to leading members in Wales about this. Mike German and Peter Black have been quick to respond to Nick's victory. It should be noted that Nick chose to launch his Welsh campaign for the leadership not in the Cardiff village, but in Swansea. This precedent clearly means that we can take him at his word. And the "curse of Lembit" has finally been broken! At last, thanks to pressure from the trade unions and from LibDem MP, Jenny Willott, the government has bowed to demands for improvements in their compensation for pensions lost when Allied Steel & Wire went bust. John Benson, a leading campaigner and spokesman for the ASW workers, was bitter about the lack of support from Labour MPs, when he spoke on BBC-2's "Working Lunch" today. He suggested that their loyalty to Gordon Brown took precedence over their concern for their constituents. In the face of a sustained and occasionally vituperative campaign in the local press, Aberdeenshire planning committee turned down an application from US billionaire Donald Trump to build a golf course which would have altered the character of a section of the coast and affected a Site of Special Scientific Interest. Now the forces behind the development have taken their revenge, the main victim being the Liberal Democrat chairman of the planning committee. Liberal Democrats Iain Dale and Bernald Salmon, in their blogs, tell the story better than I can. If the Scottish Nationalist government has its way, yet another blow against localism will have been struck and the day when local councillors become no more than paid rubber stamps (see also Peter Black's comments on Councillors Unlimited) comes ever closer. 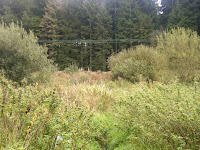 It seems hypocritical for Neighbourhood Watch in Cwmgwrach to object to youths riding motor cycles in the local woods, and riding jet skis on the local lake, while at the same time arranging to bulldoze a popular youth facility, the Cwmgwrach Cabin Club - see the removal Neath Guardian story. Local Liberal Democrats object to the elimination of a facility for acceptable youth activities, while condemning anti-social behaviour. David Cameron has announced some policies aimed at encouraging micro-generation - only 18 months behind policy agreed by Welsh Liberal Democrats, on the initiative of its younger members. Cameron proposes to abolish the grant scheme - but Labour has effectively done this already, by reducing the pool of money and cutting the maximum grant. What neither has done is to provide a means of poorer people, who would benefit most, of finding the money to install micro-generators and solar heating. What is surely needed is a system of soft loans. News is just coming in that DVLA has admitted that it sent 1200 personal driver licence details - including name, address and convictions - to the wrong people. If one of the better-run government agencies can make such a slip, then one is more than ever convinced that carelessness with people's personal information is systemic. The Evening Post has more details. Mr Hain has been concerned to wipe the slate clean after he found that his deputy leadership campaign team had received an undeclared donation from Jon Mendelsohn. He has now retrospectively declared a fund-raising function at a Cardiff restaurant, sponsored by Huw Roberts, Director of Welsh Affairs, Royal Mail Group. It is for others to judge how far these declarations were voluntary and how far they were pre-empted by journalists like Guido Fawkes. It is for the authorities to decide how far Mr Hain is culpable under the Political Parties Elections and Referendums Act 2000. On the evidence in the press and the blogosphere so far, it seems that, if he is guilty, then at least half-a-dozen other Labour politicians are in the dock with him. What is much more concerning is the involvement in party political affairs of the head in Wales of what is still a public-sector organisation. It seems that the police have given up hope of recovering the Tax Credit disks in their unexamined state, and are now searching rubbish dumps. Now there is confirmation of a careless attitude to data security in the Department of Work and Pensions. The revelation that a contractor took personal copies of sensitive information, over a year ago, might not have been made if journalists had not been following up the story of the Tax Credit disks. Liberal Democrat Shadow Work and Pensions Secretary, Danny Alexander MP has written to Peter Hain calling on him to act to restore confidence in his department. “This latest shocking revelation suggests that the culture of carelessness with personal data exists across the whole Government. “There is a real concern that if some of the most vulnerable people lose confidence in the Government’s ability to look after their personal data, they will not claim money to which they are entitled. Later: The government is offering a £20,000 reward to anyone who finds the missing HM Revenue & Customs (HMRC) discs containing 25 million child benefit records, after the initial police search failed to find them. The search for the missing CDs has been led by a core team of 47 detectives and computer experts from the Metropolitan Police's Specialist and Economic Crime Command. Now that the main search has finished without finding the CDs, the Met has appealed to all staff at HMRC, the National Audit Office and the Treasury to check at work and "other locations" for the discs. HMRC courier TNT will also ask its staff to help with the search for the CDs. In addition to the police appeal, HMRC is now offering a reward of "up to £20,000" for information leading to the safe return of the CDs - despite the fact acting Liberal Democrat leader Vince Cable last week claimed the data on the discs could be worth up to £1.5bn to criminals on the black market. You remember just one sheep ... ! I must have sent over a dozen emails to BBC Radio Wales' "Good Evening, Wales!" about subjects as diverse as, say, government structures in Wales and the management ethos of the Labour Party, but do they broadcast them? Do they thump. However, in a weak moment last week, inspired by the story of Lottie, the fugitive Swansea sheep, and Felicity Evans (I think it was) commenting on the name of one of Lottie's family, I wrote to say that I remembered an earlier ovine Letitia. She was the sister of Larry the Lamb in the Toytown stories from "Children's Hour" long ago. Needless to say, this was broadcast. The government appears to want to discourage ordinary people from posting letters. At the same time, Royal Mail continues to pour commercial mailings through our front doors. Many of these, pushing personal loans, contribute to the current debtor state of the nation. Meanwhile, the threat of post office closures draw closer. The list for South Wales Central is published today. When is this government - a Labour government - going to regard post offices as a resource for the citizen, not an embarrassment to Westminster? Liberal Democrats have long had a policy which would raise money for investment in post offices while giving a share in ownership to the mails to its workers. Isn't it time that New Labour abandoned its "not invented here" mind-set and adopted this? The Daily Post reports that the ex-assistant chief constable, ex-MP for Delyn, ex-Labour party member, Alison Halford, is about to publish an account of the early days of the Assembly. The book, entitled "Leeks from the Back Benches", will remind us, among other things, that Miss Halford voted against spending plans for the £109m Wales Millennium Centre and was suspended for a week from the Labour Party group for her stand. My first response to the news that Edwina Hart wants to reduce the number of local health boards (currently based on local authority boundaries) was that this was a typical Labour move towards centralisation. It wasn't clear to me that it would reduce the incidence of patients being "lost in the gaps". Siobhan Mclelland's considered view, based on experience, is probably more accurate, though: "She's going to do what politicians always do when they come into the health service... they reorganise structure as a proxy for making real changes." And, as always, a reorganisation would soak up money which could be better spent. Why not allow the NHS in Wales to evolve to suit the needs of its users? We awoke to the devastating news that millions of pounds worth of restoration has literally gone up in smoke. As the photo shows, firemen were still damping down at 11 a.m. today. Police have Orchard Street barricaded off. No doubt council staff are already beginning an assessment of whether there is enough of the original building left to make it worthwhile recommencing restoration work - that is, assuming that the building was sufficiently insured. The worry must be that the fire was started deliberately. One hopes that minds can speedily put at rest on this point. This became topical yesterday, when Lee Waters of Sustrans presented a petition, under the new procedures, calling for the Assembly Government to create and maintain a network of traffic-free routes throughout Wales. Not only would this benefit the leisure industry, giving visitors more opportunity to enjoy our beautiful country, but would also encourage Welsh citizens to get out of their cars. When obesity is highlighted as a threat to health in the United Kingdom, and affecting Wales as badly as anywhere, we need to get people to take healthy exercise, on cycle or on foot. Lee Waters described the existing provision as "patchy". If that is so, then Neath Port Talbot is typical of Wales as a whole. There are well-constructed and well-signed cycleways which peter out. There are well-signed cycleways and footways which are in part well maintained, in part neglected and in other parts virtually impassable. 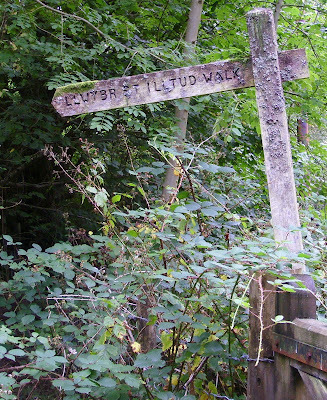 There are yet others which are marked on OS maps, yet prove difficult to find on the ground. One hopes that the Sustran petition will stimulate some long overdue action on the part of the Assembly Government. The financial outlay would be minuscule compared with the commitments to the trunk and classified road network. In May of this year, the county borough council announced that Ynysbwllog Aqueduct in the Vale of Neath was being restored to its former glory. Construction was expected to be complete by October this year. Leader of Council, Derek Vaughan, said, "When completed the aqueduct will stand as the longest unsupported single span aqueduct in the UK. "It will provide Neath Port Talbot with a major physical landmark which will have a national profile." Bob Minty, Manager of Neath Canal Navigation, added, "We are delighted that the aqueduct scheme is now underway. This project will not only restore a substantial section of the canal but will benefit the public through offering improvements to leisure facilities." "I am looking forward to seeing the proud faces of the people of Neath and the valleys when they see the aqueduct completed." With witty words about Gordon Brown and informed comment about hospital infections. I'm glad Wales has a devolved health service. It is high time we listened to our critics and elected an unknown good-looking young leader with no obvious principles, in order to reverse these disasters and hand seats back to the Tories. We have long been campaigning for land at Tonmawr, originally allocated for housing but never used, to be released - after minimal restoration - for much needed informal recreational use. Now we see that Seven Sisters Community Council is making a similar call in respect of a former ash tip. Both stories raise the question of what the "Communities First" programme actually achieves. Welsh agriculture penalised for getting things right? Welsh and Scottish farmers are not to be compensated for loss of earnings from movement restrictions due to the Pirbright foot-and-mouth disease outbreak. £12.5 million has been allocated to English farmers. The immediate result was to cut other DEFRA budgets, such as that for inland waterways. Now it seems that justice for Welsh and Scottish farmers is to go the same way. As another blogger has written, now is the time for the Welsh voice at the cabinet table to bring his influence to bear. The Evening Post and the Neath Guardian report that thousands of pounds worth of damage has been done to the trust's Ty Banc tea room and gift shop, and its Enfys canal boat in Resolven. The boat provided elderly and disabled people with the chance to enjoy a relaxing cruise along the canal at reduced cost. The charity used sales from the Ty Banc Cottage tea room and gift shop to help pay for the upkeep of the barge. But the constant repair bills have drained the charity's coffers, says the Post. We have to ask: why was not more done to protect this worthwhile charity? What are the prospects for visitors when the Abergarwed work is completed, and the canal is navigable down to Neath again? Ming Camphell drew attention to one of them today at Prime Minister's Questions: we still believe in Local Income Tax to replace the unfair Council Tax. Labour and now, it seems, Plaid Cymru, want to stick with the Tory tax which penalises householders on low fixed incomes. Why are we going on about Iraq? You would think that the decision to support the Americans in Iraq was past history. Blair, who either deceived us or made a genuine mistake, has now gone. The government maintains troops in Iraq as a reserve for the US, but that is a separate issue. We are told that the electors are bored with discussion of the rights and wrongs of the invasion (though it should be noted that Conservatives, like Glyn Davies still find it necessary to excuse themselves from being taken in by the "intelligence"). 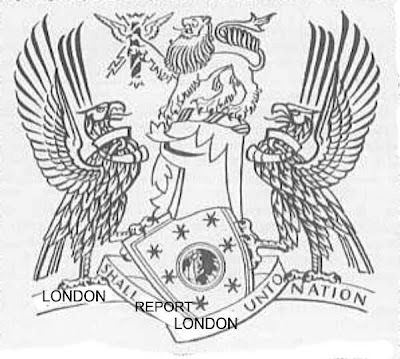 However, it now transpires that the US is considering air strikes against Iran and has sought support from the UK. Opinions differ as to whetherGordon Brown has fallen in with the plan, but there is little doubt that at least a limited attack on Iran is seriously being considered. Expect this to be a live issue in the general election, whenever it comes. If there is a general election before December, it will be conducted on the electoral roll drawn up on the basis of October 2006 data. If you have moved in the last twelve months, you will need to re-register (a form is available from the ERO in Port Talbot civic centre) at least 11 days before any election. To reduce a last-minute log-jam of applications, people wishing to vote should re-register as soon as possible. 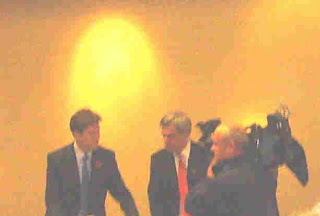 It would be as well not to wait for Gordon Brown's announcement. If you are away from home (for instance, in college), you have the option of registering here or voting back home. If the latter, make sure you know where your polling station is located, if you want to vote in person; otherwise, apply for a postal vote in good time. The much-heralded statement by Ieuan Wyn Jones, minister for transport in the Labour-Nationalist coalition, turned oot to be a waste of air-space. There are to be future announcements about some road-schemes, but no guarantee that the A470 will be improved to take more traffic. As to rail, IWJ has fallen in line with the old Labour government: there is a perfectly good north-south air link, he said, and his officials would "look at" speeding up existing rail services. Think-tank the New Local Government Network has called for additional incentives to be given to householders to install renewable energy equipment, over and above those which government minister Ruth Kelly is consulting over. LD Penny Otton 927 (41.8; +7.5), Con 833 (37.5; -9.4), Green 287 (12.9; +12.9), Lab 88 (4.0; -14.8), UKIP 85 (3.8; +3.8). Majority 94. Turnout 32.4%. LD gain from Con. Last fought 2005. Adam Price, following the lead set by the Scottish Nationalists (how often has that been said of Plaid! ), has achieved some cheap publicity by accusing the BBC of ignoring stories from this nation. However, Mr Price and Mr Salmond are wrong to see a nationalistic bias on the part of BBC. The English regions are ignored just as thoroughly. Witness the uneven treatment given to the reporting of the floods in Yorkshire and in southern counties. News coverage varies indirectly with the distance from London. Nor is BBC Wales immune from this metropolitan bias. The south-east corner of Wales seems to have more than its fair share of news reporting. Port Talbot redevelopment - what will it mean? 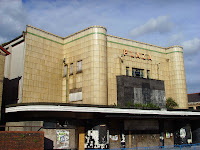 The County Borough Council has invited proposals for the redevelopment of an area including Port Talbot railway station and the Plaza cinema. 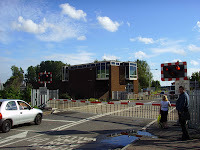 One hopes that the level crossing, a nuisance to both commercial traffic and pedestrians alike, will disappear under the preferred plans. Also, the opportunity must be taken to bring trains and buses under one roof in a proper transport interchange. 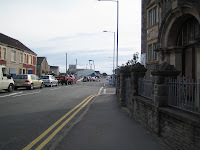 Ideally, this would be where the present bus station is, convenient for both the Aberavon Centre and civic buildings. An additional halt could be provided to serve Taibach and Margam on Swanline trains. Clearly, that would be an expensive proposition, but bringing the buses alongside at the present rail station site would be the next best thing. What has happened to "A View from the Glen", "Inside Swansea" and "Swansea Phoenix"? Work started on crossing the Tawe valley with the Milford-terminated gas pipeline last November. Nine months later, the valley is still disfigured, favourite walks are still blocked and people attending acoustic sessions at the Pontardawe Festival this coming weekend are liable to have their enjoyment ruined by the sound of heavy plant. The sad news reached us today of the death of Tim Garden, our spokesman on defence in the House of Lords, from pancreatic cancer. To those of us campaigning for an ethical, or at least intelligent, foreign and defence policy, he was an inspiration. As his biography shows, he was no theoretician, but knew whereof he wrote and spoke. 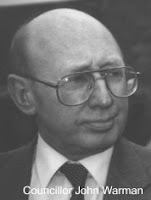 Those who knew him personally describe him as "a good social liberal". Who has more friends: Peter Hain, Derek Vaughan or the BNP? Just as Virgin and Vodafone are pulling their adverts from the "look at me" website Facebook, council leader Derek Vaughan is reported by the Evening Post to have joined Neath MP Peter Hain in a bid to make friends and influence people. Advertisers are withdrawing because their logos could appear on the same pages as the BNP. If someone steals your credit card details, don't you want to know? You may remember the TK Maxx scandal earlier this year, when customer details were stolen and used fraudulently. There is still no law in this country to force companies in this situation to warn their customers. Now there is a petition to government to put this right. Neath Port Talbot council observes the national Code of Conduct regarding declaration of councillors' interests, but only on paper. 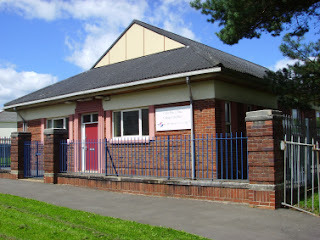 The register of members' interests is accessible only during office hours at the Port Talbot civic centre, and only when an officer is free to supervise access. We feel that our council should follow the lead set by Swansea City - on a Liberal Democrat initiative - and put the register on its web pages. This would make it available to anyone who can use a PC, wherever they live in the county borough. The council has had poor press in recent weeks over its attitude to democracy. Putting the councillors interests register on the Web would be a small step towards improving its reputation. Coedffranc Community Council is exercised (quite rightly, in our opinion) about the potential, and needless, loss of Cefn Parc clinic. It has until only recently been used as a maternity clinic. It has outlived its usefulness as such, but would seem to be ideal for provision of additional dental facilities, which the community badly needs. From a Neath Guardian article: "The land that the clinic is built on was originally sold for a nominal fee to the Parish council to provide maternity facilities for the Coedffranc area in 1938. "Until recently the site has served this purpose and documents dating back to 1938 state the site should not be used for other purposes without consent in writing from the Vendors. "The spokeswoman said solicitors representing Bro Morgannwg Trust have told them they do not have a copy of the original conveyance." This has not prevented the Trust from selling the building. The community council attempted to purchase it, but was outbid. Bro Morgannwg has refused to reveal the name of the purchaser. However, the Trust cannot finalise the sale because of the restrictive covenant, of which community councillors do have a copy. 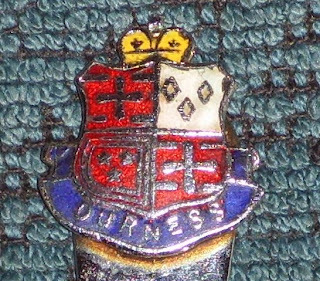 It is the firm view of the Community Council that the sale should not have started until the council was consulted over any possihle change of use. Liberal Democrat councillor for Coedffranc North, and a member of the community council, Keith Davies, said that the way in which the trust has handled this "makes them prime candidates for a review by the Director General of the Audit Commission". Currently, the community council has approached the Welsh Assembly Government so that this contretemps between two publicly funded bodies can be resolved by them, rather than incurring high legal costs. Dave Howerski tells us that the work at Cwmgwrach was completed in time to save the village from damage after the wettest June & July in British meteorological history. Work at Resolven has not been so fortunate. It seems that every time the contractors get started, another deluge washes their work away. We fear that it is a race to complete the defences there in the next weather window before there is a "Gloucestershire" event in the Neath valley. Click the button on the right for links to the details of the parliamentary by-elections. 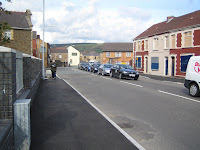 Go to Peter Black's blog spot comments for those of Swansea Llansamlet council election. In all three, the Liberal Democrat vote rose and the Conservatives made no impact. Labour were smart to hold the Westminster by-elections during the Gordon Brown "honeymoon" period, or the results might have been worse for them. It is not only a valuable part of a green wedge, but it is also of historical interest. Aberavon and Neath Liberal Democrats support the campaign to save Bryncoch Farm. John Warman, Liberal Democrat councillor for Cimla, is so concerned about the loss of green wedges in the county borough that he has resigned from the planning committee. He feels that his freedom to campaign has been held back by legal restrictions while he has been on the committee. Dave Howerski being unable to continue because of demands on his resources (we hope the parachute jump in Sweden went well, Dave), Richie has agreed to resume secretarial duties, with the unanimous approval of tonight's party meeting. Readers of Paul Lewis's article in the Evening Post might be forgiven for believing that new money has suddenly become available for "greening" our communities' schools. "Council officers are now thrashing out a deal to decide how the cash resulting from the 16-turbine npower development will be spent locally," he writes, no doubt from a press brief prepared by the County Borough Council. It turns out that the money is still sitting in nPower's coffers. It has doubled as from May this year, and will be added to at the rate of £32,000 on each anniversary of the establishment of the Ffynnon Oer wind-farm for the life of the installation. All that was needed to access the money was for Neath Port Talbot CBC to set up a suitable financial vehicle, such as a trust. Planning for this could have started at the time planning permission for the wind farm was granted. Schools and other community facilities could have benefited from Day One. Instead, on the council's own admission, they are still discussing the form of the trust. We applaud the ideas outlined in the article, and welcome the call for further suggestions from the communities, but condemn the fifteen month wait, and the continuing delay. Liberal Democrats to cut 4p off Income Tax! Radical tax plans that will take the basic rate of income tax to its lowest level since 1916 were unveiled today by the Liberal Democrats. The move to cut the basic rate by four pence in the pound will reduce the basic rate of income tax to 16p, benefiting millions of people on low and middle incomes. The plans are a development of those approved by the party conference last year and form part of the party's proposals to lift the tax burden on low and middle income earners whilst making the rich and people with environmentally damaging lifestyles pay a fairer share. The revised proposals are tax neutral and have been independently evaluated by the IFS. Commenting, Liberal Democrat Leader Ming Campbell said "Our new proposals will put fairness at the heart of the tax system. Low and middle income earners in this country shoulder too heavy a tax burden. By cutting the basic rate of national income tax by four pence in the pound the Liberal Democrats are proposing the lowest basic rate since 1916. By reforming stamp duty and inheritance tax we will ensure that people who were not originally intended to pay these taxes no longer do so. The unacceptable reality is that in Britain today the poorest pay a higher proportion of their income in tax than the super-rich. Under our proposals tax cuts for the majority will be paid for by the wealthy minority, as well as those with environmentally damaging lifestyles. Only the Liberal Democrats have produced a costed plan to create a tax system that is fair, simple and green. I challenge Gordon Brown and David Cameron to back up their rhetoric by endorsing our plans." Commenting further, Liberal Democrat Shadow Chancellor, Vince Cable MP said "This paper takes forward, in a more radical form, the proposals we passed at our conference last year. Those on low and middle incomes will benefit from a cut in the basic national rate, and from the scrapping of council tax. The national tax cuts will be paid for by abolishing the capital gains tax break, which allows the very rich to pay a lower tax rate than the person who cleans their office, as well as only providing tax relief for pensions at the standard rate; and raising taxes on polluters. Taken in conjunction with the abolition of council tax, these policies benefit the vast majority of families." Liberal England has a very interesting and plausible analysis on the current by-election fever sweeping through Ealing and Sedgefield. Whilst Labour and the Tories are fighting each other intensely in Ealing Southall over which councillor will defect, to whom, next. The Liberal Democrats are catching up fast in Sedgefield by campaigning on the local issues that matter to local people. Labour and the Tories can continue to play their powerbroking nonsense games, but what will really be on the minds of the electorate, on thursday, is who has been campaigning on the issues that matter. See the July 11th entry on Peter Black's blogspot. This is how the local media in Ealing Southall are reporting the by-election campaign. With the Tories out of the running it can mean only one thing.....couldn't it? - A Lib Dem victory? Maybe. BUT, i'm not going to count any chickens yet, there's a week to go and things might change. Its going to be an interesting week ahead, on the same day (19th July) there is also a further parliamentary by-election in Sedgefield and a local by-election in the Llansamlet Ward of Swansea. Good Luck Ealing, Sedgefield and Swansea Liberal Democrats from your Aberavon and Neath colleagues! Ming Campbell - "Rattling the Cage of British Politics"
Ming Campbell has promised that the Liberal Democrats would be “rattling the cage of British politics and challenging the cosy consensus” between Labour and the Conservatives, exposing the government on issues such as BAE, freedom of information and the erosion of civil liberties. You can listen to Ming’s speech on YouTube (part 1 here, part 2 here). I feel that I must comment on the, ever worsening, traffic situation created by the installation of traffic lights where Beach Hill used to be. Instead of a hill, we've now got a cross roads with a three way set of traffic lights. Further on roughly 200 metres is another set of traffic lights, at the cross roads of Hospital Rd/ Newbridge Road & Victoria road. Recently, these traffic lights have also become a three way set of lights. Prior to Beach hill being taken down, traffic could move smoothly between Yscuthan Road and Victoria road via beach hill, there is now traffic backing up along both Yscuthan Road and Victoria Road as a result. A simple solution would be to co-ordinate these lights. The lights at the Yscuthan road could be green when the lights at Victoria Road go green for traffic to go to the beach, likewise coming back from the beach. 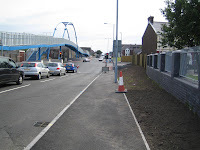 The Aberavon and Neath Liberal Democrats are in the process of lobbying Neath Port Talbot Council in a bid to co-ordinate these lights to ease congestion along the affected routes. 40%How Addicted to Blogging Are You? Well apparently, I am only 40% Nerd! good reasons for the electorate not to have given Labour an overall majority. The Assembly government agreed to pay the nurses pay award in full, without staging, as has been done in Scotland. Edwina Hart said that this was a principled decision, and drew attention to her trade union roots. Yet, as pronouncements by Rhodri Morgan showed, there is little doubt that Wales would have followed the English example if Labour had been able to govern alone. *Plaid's special conference agreed to share power by 225 votes to 18, or 92%. It's good to see a Welshman in this post. The Conservatives are sticking with their English MP - obviously their Welshman does not fit the Cameron pattern for the pastel blue-greens. Congratulations to Lembit Öpik on his new position, too. Further details and the views of Mike German are here. Peter Hain, MP for Neath and Secretary of State for Wales, has been relieved of the Northern Ireland brief, and been promoted to be Minister of Work and Pensions. He has criticised us for wanting to reform the wasteful New Deal programme. However, he now finds himself in charge of the run-down of local Job Centres, part of the Treasury's desperate scramble to fill the so-called "black hole" in government finances. Will he attempt to reverse this? Incidentally, an unkind Scottish colleague suggested that Quentin Davies (about whom Guido Fawkes is scathing) should become the Welsh Secretary in view of "his history of sheep abuse". On the subject of Tories crossing the floor to New Labour, Shaun Woodward has been given the Northern Ireland brief which Paddy Ashdown turned down, showing how peripheral this job has become and thus vindicating Paddy's decision. The site includes details of the Liberal Democrats 3-step plan to improve the NHS, local campaign news from around the country and an on line petition which people can sign. Ming Campbell said, "I know from my own experience just how important the NHS is, and how hard nurses, doctors and other staff work. "But by trying to control every detail of what goes on in the NHS the Labour Government has wasted money and caused a massive wave of cuts." 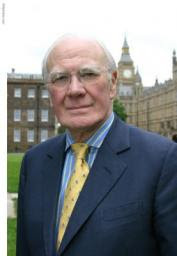 Leader of the Liberal Democrats Menzies Campbell said that the country needed a change in direction not just a change in personnel at the top. "Gordon Brown cannot escape the last ten years. Labour's failures are his failures too. "This is the man who has signed the cheques for the Iraq war and who raised taxes for the poorest and lowered them for the richest. "Britain needs a change in direction not just a change at the top." Peter Black's appreciation of Glyn Davies is understandable. His unspun, common-sense, view of the political process is an antidote to the opposite attitude of New Labour and of his current leader in Westminster. Yesterday, on BBC-2 Wales's AM.PM, he identified Ming Campbell's interrogation of the Prime Minister over the alleged BAE payments to a Saudi prince as the most serious questions of the session. There was hardly any reaction in the chamber, apart from some restlessness. Then there was almost palpable relief as MPs reverted, as Mr Davies said, to "their usual knockabout". Peter Hain has backed the plan for a replacement nuclear power station on Anglesey. Below is the Hansard extract whilst being questioned by Liberal Democrat Shadow Welsh Secretary. "While I welcome tidal energy in the Severn estuary, is the right hon. Gentleman aware that there is enough tidal power off the north Wales coast to offset the need for a replacement nuclear power station in Anglesey? However, given that all bar one of the Labour deputy leadership candidates said on "Newsnight" that they support more nuclear power stations, including the right hon. Gentleman, how can anyone seriously believe that the second nuclear consultation is not destined to be as big a sham as the first?" "It is not a sham. I have always made it clear that if a nuclear new-build is necessary in order to keep the lights on, it would be irresponsible to rule that out. As the hon. Gentleman knows, no one is more enthusiastic about clean, green renewable energy than me. Indeed, I often have scraps with Liberal Democrats about wind farms and other sources of clean, green energy, because they are in favour of green energy in principle, but in practice differences can arise. However, I think that we can work together to make sure that Wales benefits from all forms of energy. Sometimes there is a demand for a replacement nuclear power station. That is the case in Anglesey. The local council and my hon. Friend the Member for Ynys Môn (Albert Owen) support a replacement of the existing nuclear power station, and they deserve to be supported." The reports of hooliganism at Skewen station bring home how little regard is paid to this vital facility. We have previously drawn attention to the state of the road bridge and to the lack of passenger information (the speaker system has long since been vandalised). 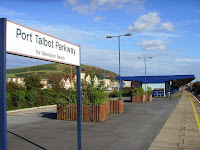 Llansamlet station, just along the line, has a volunteer manager and more facilities. Why not Skewen? Do Network Rail and the council see it as an embarrassment? The price for keeping our schools open is now revealed by the Evening Post. It is to be hoped that the county borough is not to lose the services of its most experienced and qualified teachers. Are you affected by these changes? Please let us know, if so. Yet again, it is being reported in the Neath Port Talbot Guardian that there is no end to the dental crisis in Wales, with patients living within the Borough having to travel as far as the Rhondda Valley for NHS dental treatment. "None of the 17 dental practices in the borough are taking on NHS patients while an advert in the Guardian last week promoted NHS places available in Ferndale and Treorchy." "We have already started to see a rise in the number of NHS dental places available thanks to the Personal Dental Services Scheme." Where? We ask. Certainly not in Neath or Aberavon. Focus on increasing the use of mobile dentists to serve the most rural areas and more salaried dentists to serve areas of particular shortage. Alongside this we will expand the use of dental hygienists and therapists, who are trained to do much of the routine work currently done by dentists, increasing the number of training places. Reform the Welsh Dental Initiative to provide capital grants for dentists wishing to set up practices in rural areas. We will also employ salaried dentists to do school check-ups and focus on dental health and prevention at primary school level and at playgroups and nurseries, building on the Community Dental Service. We are the only party to have a costed a credible set of proposals to keep post offices open and, where necessary, to open others. Our opponents have no such policy. Our plan keeps the Post Office Ltd in the public sector and enables Royal Mail employees to get a share in their company through a radical employee share ownership Trust, similar to the John Lewis Partnership. Royal Mail will take a new ownership model, with the sale of some of its shares providing the investment needed by our post offices. You can find out about the proposals in more details by reading our background paper on the policy. The Royal Mail has been starved of investment by successive governments and needs at least £2 billion to invest in automation to remain competitive. 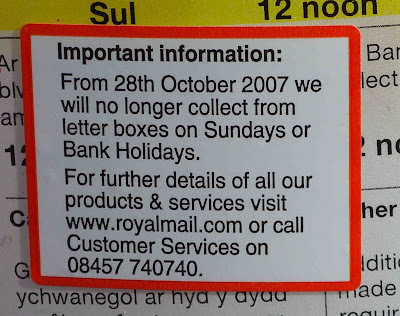 Royal Mail now faces full competition as its centuries old monopoly on the delivery of mail was ended on 1st January 2006. It is facing massive competition from well financed competitors. Doing nothing would see the Royal Mail wither on the vine, putting at risk many services, including the Universal Service Obligation (the guaranteed daily delivery at a uniform price throughout the country) which so many communities rely on. Our proposals would create a new ownership model for Royal Mail which would allow it to borrow to invest without it having to compete with schools and hospitals as it is no longer wholly owned by the public sector. (This is because publicly owned bodies have to have government permission to borrow.) Our proposals will enable Royal Mail to become a great British company free to improve its own business services, fight off foreign competition and win markets abroad. The employee shareholding scheme would benefit future Royal Mail employees not just current ones. It would not be a one off hand out to people who happen to be working for Royal Mail at the time of change of ownership. Rather the employees' shares would go into a trust for the benefit of those working for Royal Mail. When an employee leaves the company, that person will no longer be entitled to any dividend. A new employee, however, would become a partner in the company and would be entitled to receive a dividend from the trust. The model is similar to that operated by the John Lewis Partnership. In addition to the trust, we would establish a system of employee participation so that staff are involved in the running of the company. Again, this would be similar to the John Lewis Partnership model. That was the delightful description by Roger Roberts (and he was in favour!) of the possible Plaid-Tory-LibDem coalition at today's special members conference at Llandrindod Wells. The conference agreed that it was a bold step, but voted 125-77 in favour of the proposition that "Conference endorses the proposals in Working Together for Wales as the basis for forming the government in the National Assembly". Supporters pointed to the successful operation of "rainbow coalitions" in Swansea, Bridgend, Cardiff and Wrexham. 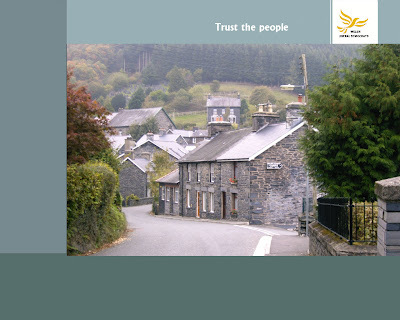 The working document (The All-Wales Accord) contained about 75% LibDem policies and that this was the best chance we had of putting them into effect. STV elections for local government and smaller class sizes were valuable prizes to be gained. Many felt we should respond to the electorate, who had largely rejected Labour - only 32% of the vote - and who were looking to the other parties to come together to provide stable government. To those of us who were concerned that the Plaid policies which had been introduced were uncosted, Mike German promised that a positive vote would enable him to go to the civil service to refine the cost estimates. There had not been time to do this on the tight time-scale of the selection of a new First Minister. There were no illusions that the coalition would be easy, but the Accord was in the nature of a contract which could be enforced on AMs of the member parties. "Can the Prime Minister explain why in his manifestos of 1997, 2001 and 2005, he did not seek a mandate for a new generation of nuclear power stations? Why is he so hell-bent on nuclear power now?" Tony Blair: "We are going to go from a situation, as my right honourable friend [Alistair Darling] will explain today where we are 80%-90% self-sufficient in oil and gas - that is going to decline completely in relation to gas, largely in relation to oil. We are also going to have a situation where a lot of the fleet of power stations becomes obsolete and our nuclear power stations become obsolete. Now, if we want to have secure energy supplies and reduce CO2 emissions we have got to put the issue of nuclear power on the agenda. If people are not prepared to do that, then I would like them to explain how we are going to manage to reduce that self-sufficiency, dramatically as I describe, how we are going to be able through wind-power or renewables to make up the huge deficit that nuclear power is going to leave and if we are about serious policy-making I'm afraid we have got to confront and take decisions on these issues." "Very clearly, in the Cabinet Office Review of 2003. Why is it that the Prime Minister is so committed to nuclear power in a way which suggests he disregards the issue of risk and cost and toxic waste? Where is the investment in wave, wind, and tidal power, and clean coal technology that would give us a secure, non-nuclear, future?" "Look, first of all, we are boosting renewable energy significantly. But let's be absolutely clear about this; we are not going to be able to make up through wind farms all the deficit on nuclear power, we're just not going to be able to do it. And in addition to that, we have had nuclear power in this country for over half a century without the problems that the honourable gentleman draws attention to. And I also urge him to look round the world, and he will see that at this present time, I think I am right in saying, there are something like 70 to 80 new proposals for nuclear power stations, and that is for a perfectly sensible reason, that every country round the world is looking at these two problems: securing energy supply, with sufficient diversity; and reducing CO2 emissions. And the reason why we should look at nuclear power as an option here is because if we don't do that, we are simply, for reasons, in my view, of ideology, putting it to one side when plainly round the world many others are coming to the opposite conclusion." See earlier blog entry about the cuts in government grants in two key areas. Giving aid to multi-national companies to set up wind farms is not a big boost to renewable energy. (admitting that this "one-club" approach is inadequate). He fails to address the points about wave and tidal power, and clean coal technology, all of which have been shown to be more productive than wind generators. The answer must be that the Westminster government has done nothing about these. Sadly, news has come through that a Scottish carbon-capture scheme, proposed by BP, has been abandoned. Is this because there is no longer a LibDem minister in Scotland to push it through? Maybe Tony Blair is too young to remember when Windscale (now Sellafield) blew its stack, but he must have been aware of the discovery of the Dounreay "drain". The aggravating problem of storage of waste must also have come to his attention. Until the government has the guts to publish a strategy for the long-term storage of nuclear waste, which is still piling up, it cannot be deemed fit to start another nuclear programme. Does he not realise that nuclear fuel has to be imported, and that we are not self-sufficient in the raw material? That there is logic in India, and even Iran, which do have uranium ore, developing their own nuclear generating capacity, while we would be making ourselves dependent on other countries? That is before the difficulties of transporting the fuel are considered. "Hell-bent" and "committed" just about sum the Prime Minister up. In this he is just as obstinate and unable to listen to reasoned argument as Mrs Thatcher.